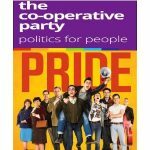 As part of the Plymouth Pride Festival 2017 – The Plymouth Co-operative Party are screening the Film PRIDE on Monday 31st July 2017 – Jill Craigie Cinema, Plymouth University. Hosted by newly elected MP for Plymouth Sutton and Devonport Luke Pollard. A copy of the 2017 Labour Party Manifesto with a personal message from and signed by the leader of the Labour Party Jeremy Corbyn will up for auction on the night. Doors will open at 6.30 for a showing of Pride to get everyone in the mood for Plymouth Pride being held on Sat 5th August. In the spirit of LGSM, we will be raising money for a victimised and under-supported community. 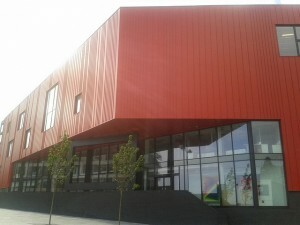 Plymouth is a dispersal centre for asylum seekers and refugees. As a city we are providing sanctuary for an increasing number of LGBT people. 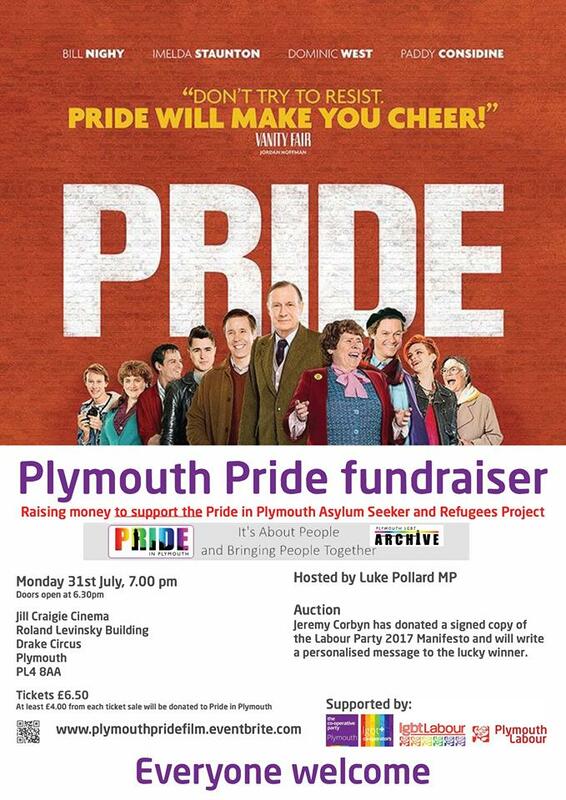 Pride in Plymouth Volunteers are providing a warm welcome, friendship and practical support for LGBT asylum seekers and refugees in our city; the project relies totally on donations to meet any costs it incurs. Enjoy the film, the soundtrack and the feel-good factor; find out more about the project – all in the knowledge that at least £4 of the cost of your ticket is being donated to this important work. Visit the Plymouth Pride Festival Page for more information about Plymouth Pride 2017 and supporting events.